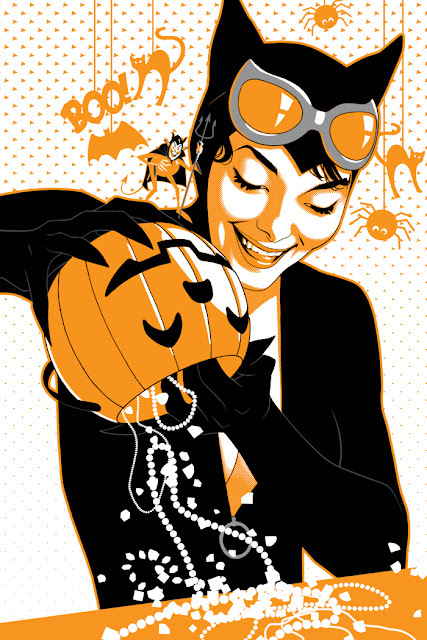 This is a variant cover for Catwoman issue 35, on shelves in October. It was fun sticking to just orange and black (and grey). 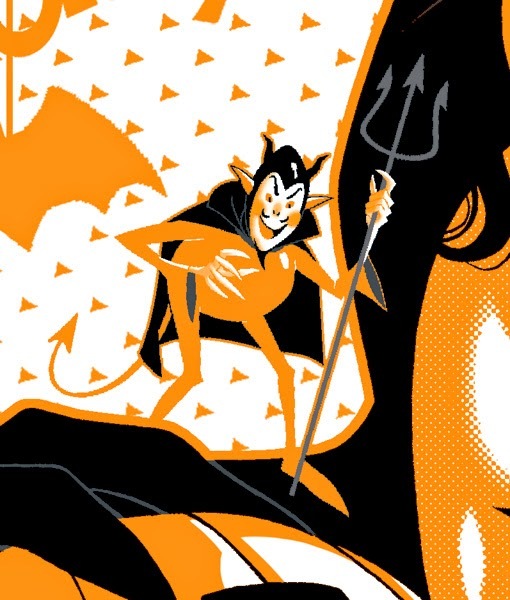 My editor suggested the little devil on her shoulder. He's pretty tiny on the cover, but he was my favorite part to draw. Pencils, inks, and Photoshop for color.